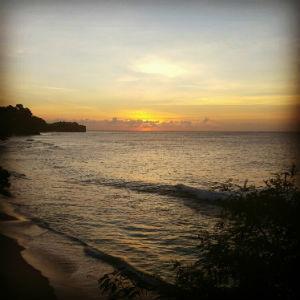 Obviously, our trip to Grenada has to come first! 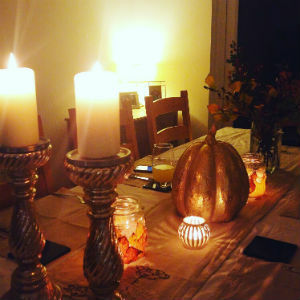 G and I had an absolutely lovely time – to say the least! We spent most of our days lying by the pool reading, making the most of the 30 degree heat, with regular dips in the water. 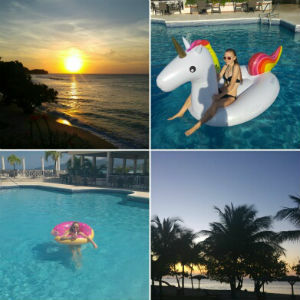 Unfortunately, the sea was too rough while we were there for us to be able to try out our new snorkels, but we had lots of fun on G’s birthday present inflatables – I have to say, the unicorn was incredibly comfortable and relaxing! 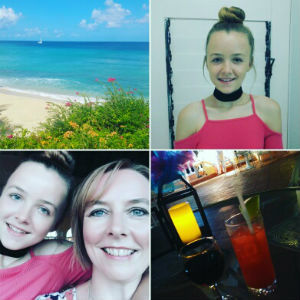 We did take two trips out whilst there too, which were really fun – one a jeep safari and river tubing, then another into the capital for the market and a visit to the House of Chocolate. 2. G also had a fabulous 16th birthday while we were there. We woke up just before midnight and had a little midnight feast and some birthday cake to begin the celebrations – before quickly going back to sleep again! 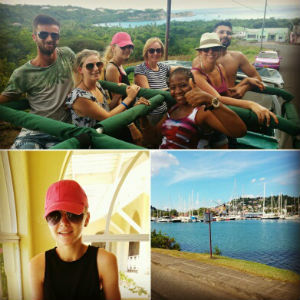 We then had our jeep safari and river tubing trip during the day, which was great fun. 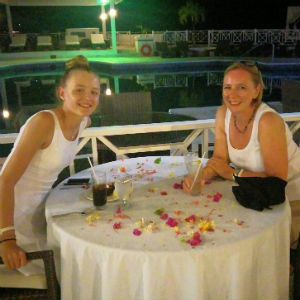 The festivities then continued when we returned to the hotel, with a surprise delivery of a bottle of champagne and a beautifully decorated table for dinner, which was ended by the staff singing happy birthday and presenting her with a celebration pudding. I think that she had a pretty memorable 16th! 3. Another highlight of our trip was meeting the lovely “Goats on the Road” – a Canadian couple, Nick and Dariece, whose blog and vlogs I have been following for about 18 months. 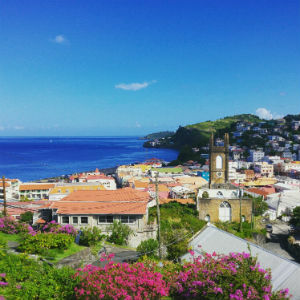 They are digital nomads, spending their lives travelling to various countries around the world, funded by their blog income and different house/pet-sitting opportunities. 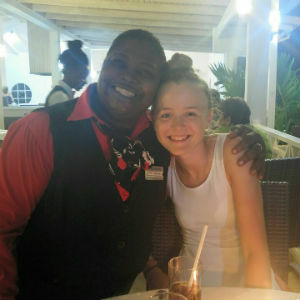 They have spent 5 months of each of the past 3 years staying in Grenada, which is how I originally came across them, and I was really thrilled to spot them when we went for our regular Sunday afternoon drink at The Aquarium Bar, just along the beach from our hotel. I had a quick chat with them and they were so lovely! 4. Although the week went very quickly, it was still nice to come back home to our ‘boys’ – D and B. 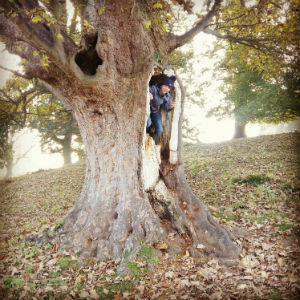 And to find that autumn had well and truly arrived! 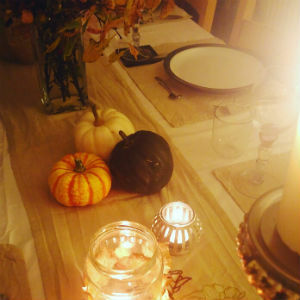 I made the most of the natural seasonal findings to decorate the table beautifully for D’s birthday meal – and it’s still there two weeks later! 5. 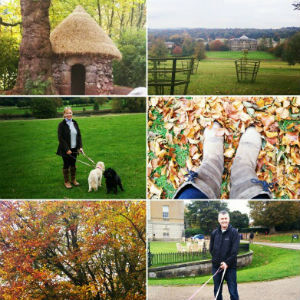 D and I had some beautiful autumn walks the weekend following our return. 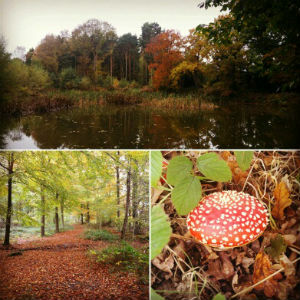 It really is such a gorgeous season, and it was lovely to get out in the fresh air and enjoy it. 6. Due to the fact that the children had different half term breaks, I then had a week with B at home after G had returned to school, which was so nice. We didn’t do an awful lot, but had a lovely time together, going for walks, playing games, watching films, etc. 7. 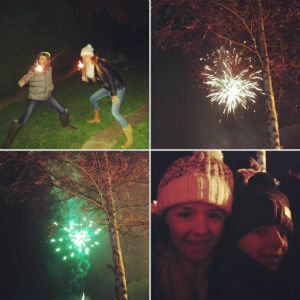 Fortunately, Bonfire Night happened on B’s last night at home before returning to school, so we made the most of it by going to a great bonfire and firework display at Rolleston, before coming home for sparklers and some mini fireworks. Lots of fun! 8. 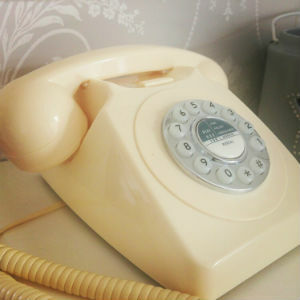 A simple thing that has brought a lot of smiles to us this week has been our new ‘retro’ phone. We had intended to get one for so long, but I eventually got around to it on Friday and we love it – especially that old-fashioned ring! 9. I had a lovely surprise one morning earlier this week to wake up to find everything covered in frost! 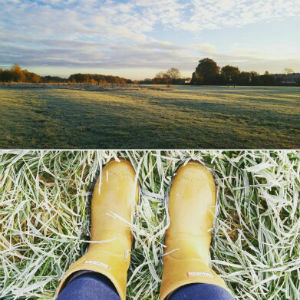 I absolutely love cold frosty mornings with blue sky and bright sunshine, so I made the most of it with an early morning dog walk – just beautiful. 10. My last one for this week is the lovely day that I had yesterday on our annual Christmas shopping day. We went up to Cheshire Oaks, and I managed to get some great presents, so I really feel that I have made a good start now – and had a great day!